Find My Workspace lists over 95% of the business centres market in Norwich. Simply click Request Quote to check pricing for one office, or Add to Basket for multiple offices. Located in the heart of Norwich city centre, these self-contained office units offer a high-quality working environment. The work space is clean, simple and in a prime location, making these offices attractive for younger and smaller businesses. 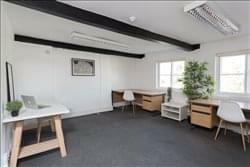 There are 4 different offices available: a single office at £180 that can accommodate 1 or 2 desks; one at £350 which can fit 4 or 5 desks; one at £450 which can fit 4 or 5 workstations; the final space on offer is £600 and is a retail office with shop street front window and access. Tenants have 24-hour access to the building, a high speed and dedicated internet connection and a kitchen. The building community is a friendly environment and full of entrepreneurs. 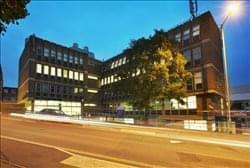 Based in Norwich, this centre offers a great coworking space on flexible terms. Offering ‘easy-in, easy-out’ terms, membership comes with a whole host of amenities and is inclusive of business rates, broadband, service charge and utilities. Coworking tenants can also take advantage of eight free hours of conference room use, which boasts full WiFi connectivity, AV equipment and complimentary refreshments. The centre also offers a serviced kitchen, secure fob access and 24/7 access. For those looking for a more flexible option, the centre also offers hotdesking options, starting from £20 a day. Hotdesking members have Monday to Friday, 9 to 5 access. The centre will also have multiple person offices available soon. The centre’s other amenities include a brilliant onsite reception team, that will provide you with support and ease your transition. Similarly, tenants can take advantage of business advisors and regular workshop/networking events. Based just outside of Norwich City Centre, this brand new centre currently has 2 bright offices at 180sqft each, located next top each other. The centre also comes equipped with excellent kitchen facilities as well as toilets. The business centre is a perfect solution for those looking for both storage/workshop space alongside offices. There are also a wealth of amenities included, with tenants benefiting from 24-hour, 7 day a week access, on-site car parking, and large yard space for any deliveries that may arrive. The centre comes with flexible terms, with a minimum sixth month term required.